Data Entry Review: Scam, or Can You Really Make Money? Hundreds of data entry jobs are posted daily to freelancing sites. The good thing about these jobs is that these jobs do not require a lot of qualifications to make you eligible for the position. If you are familiar with the basic use of a computer, and know the basics of MS Word, and MS Excel, you can easily do these jobs. All you have to do is input data into a computer system and be required to verify it. 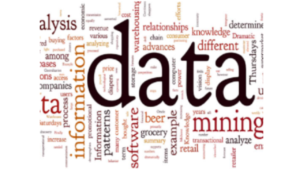 The data can be put into the system in the form of audio, handwritten documents, website pages, or computer files. However, the wages of these jobs are not that great. Because the wage law doesn’t apply to independent contractors, you will have to face low job rates. This is because of the global competition. Anyway, thousands of people do these jobs on the regular basis, and seem to be satisfied with it. So, let’s see whether data entry jobs can earn you a handsome amount of money, or not. Also, you should know how it started, how long it’s been around, where to start in order to be successful with it, what are the ups, and downs, and most importantly, should you do this job, or not. The history of data entry goes back to the early 1890, when punch card data processing was invented. It created a lot of demand for data entry clerks that were required for running the keypunch machines. Back then, the data was entered twice to make sure that the entry was accurate. Apart from punch cards, the data was also entered on a verifier, a separate machine equipped with a keyboard. Gradually, the punch cards were replaced in the late 1900’s by video display terminals. In the 1990s, the online job posting had started, and the companies were competing for the business. Then emerged the new type of job posting websites, where clients and workers connected directly. These websites have now developed into huge freelancing platforms, where independent contractors, and workers make an agreement to a specific job(s) posted by the contractor. Data entry has now become a highly contested job on the internet, because it is easy to do. Once again you don’t need any technical skills. Where to get started in order to be successful? 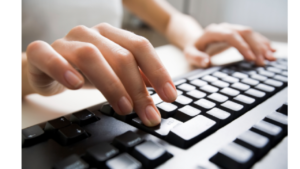 There are plenty of websites that offer data entry jobs online. However, there are also a lot of scams; the companies that won’t pay you for the work you do. Therefore, you need to make sure that the source is legit, and your payments are secured. Better Business Bureau (www.bbb.org), and Customer Fraud Reporting (www.customerfraudreporting.org), are the website that can help you in this regard. Therefore, it’s always better to start with the reputable freelancing sites like, UpWork, Freelancer, and Fiverr. These platforms are not always a steady source of income. But you will gain first-hand experience, and a portfolio that will help you with future job endeavors. Then, you can use social media platforms to find yoursekf good paying data entry jobs. Try looking into LinkedIn. LinkedIn is a great network for finding jobs, and making connections with professional’s that are related to your field. Freelancing websites are great for starting out. But in order to get more benefits, and a steady income, you should apply for data entry jobs that allow you to work from home. This is especially good if you can spare certain hours for work, on the daily basis. Montser.com and Craigslist.org are two of the many popular sites on the internet, that offer good data entry jobs. Data entry jobs are becoming more contesting with time. More and more people are opting for this job now. That means (in my opinion) people are finding it as a good way of making money. But let’s take a look at the pros and cons of becoming a data entry clerk. 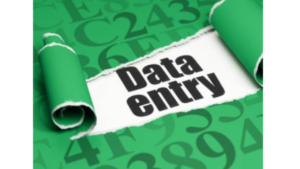 Easy to do: Data entry is a pretty much easy job. All you have to do is enter the data given, into a computer system. Most of the data entry work, is done on MS Word, or Excel, and both tools aren’t that difficult to use. There’s also numerous free tutorials available on the internet, where you can learn these tools in just a few days. Doesn’t require many skills or education: Data entry jobs are low skilled. Any person with a little bit of knowledge on computers, can do these jobs. You also don’t need to have a certain level of education. There is absolutely no requirement of having a certificate, or a degree. Only experience..
You make your own schedule: The great thing about data entry, is that it’s completely up to you to decide how much time you want to spend with the job. You also will be making your own schedule, which can be flexible according to any other job, or routine you might already have. No investments: For data entry jobs, all you need is a PC, and an internet connection. These items are usually available in almost every household these days. So, there are no extra things you’ll be needing for this work. Not that interesting: Although this job is easy to do, it also monotonous, and lengthy. You will have to do the same similar kind of work, over, and over again. Low wages: The wages of data entry jobs are low. Especially in the freelancing world. Due to global competition, a lot of people are ready to work for low wages, which makes these jobs uninteresting to many people. No room for growth: Data entry, is a job where you won’t learn new skills. You might start typing faster from so much practice. But other than that, as the work is monotonous, you would not be getting the opportunity to learn new things. As a result, you won’t be getting a raise in income. Having said these, data entry is an easy and rewarding job. You can spare a few hours from your schedule to earn extra money. The amount of money that you can earn through this job, depends on the time you are ready to invest. The more experience and work you have, the more you earn. Wealthy Affiliate, is my #1 recommendation for gaining all the tools you’ll need to be successful online. You will learn step by step, the proper ways to making money from home. 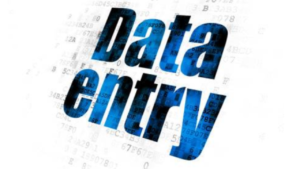 Do you have something to say about your experience with Data Entry? Maybe something to add about your success or failures trying to work a certain program? If you do, please take the time and leave a comment at the bottom. I would love to hear What s on your mind! Thanks for reading my post, and good luck with your success!